Most people focus on writing great content. They focus on research and evaluation of their blog posts. They focus on perfection to the maximum because not only are their readers looking for great content, but so is Google. Which one is more important? Most people will tell you that the reader is the most important thing in blogging and secretly build links like a mad man behind the scenes. We can all tell those people. But what if I told you that one of the most important things you can do for yourself was not to write great content? What if I said that no one cares about your content anyway? That would hurt my feelings if someone came out and told me that anyway, so I can imagine what you’re thinking. Content ISN’T king…yes, you read that right. Oh sure, on your site, it reigns supreme. There is nothing like great content to a reader that loves your blog. But when you step outside of the confines of your site, you are trespassing on enemy territory. You are no longer in a world where you control how things happen. People don’t care about your content outside of your blog. Perhaps you have a large following, then I’m sure that you have made allies through time, but this post is for the beginner. That person that has 30 Twitter followers and even less on G+. People could care less about your content. It’s not king in social media, heck, it’s not even the minstrel! You started your blog thinking that your content was king, but in reality, it was only king to you. No one has read it, therefore, no one knows about it’s sovereign deity on your domain. If you’re a beginner, or even a seasoned professional, and you haven’t thought twice about the repertoire of your social media update, then you are wasting your time with your social media marketing. Whether you know it or not, psychology does play a huge role in marketing on social media. People are unconsciously making decisions based on psychological impulses of the brain. Think I’m weird? Guess what? Your psychological make-up inside your head told you to think that (psychological influence). You just had an emotion about this article, nay, an opinion. Perhaps you think your social media marketing is already correct and you feel insulted that someone would tell you otherwise? The end result is that an emotion was caused and you reacted to that emotion making a decision to think that I am crazy. I probably am crazy, we all are, but more on that another time. You are sending an emotion to the reader of that social media platform with every single update that you send out. Even if it’s boredom! There is a point in time where your update crosses paths with the readers attention span, this is called convergence marketing, and it makes all the difference in whether or not you will create a positive or negative emotion inside the readers head at the point of meeting. After plenty of hours of research and studying and conducting my own tests, I have found that you have an average of 8 seconds to get someone’s attention through your social media marketing processes. Think that’s a long time? It’s not. For most people, you only get a glance from them before they peruse to another user, and someone else’s content. A glance! Do you know how long it takes you to blink your eye? A nano-second. That’s one billionth of a second, and, in my opinion, that’s about as fast as a glance will get you. As fast as someone’s eye can move. Hmm, so there’s a problem with that then. Here you have people’s darting eyes all over the page, and then you have people that will actually give you the entire 8 seconds, so what’s a person to do? Physiological- responses within the body are responsible for emotions. Neurological- activity within the brain leads to emotional responses. Cognitive- thoughts and other mental activity play an essential role in the formation of emotions. In your social update, you can use all three of these to literally manipulate the reader to do what you want them to do, which, in this case, is to drive them to your blog content so you can show them how great it really is. However, neurological and cognitive roles are the easier of the three to do, so I will explain these. Cognitive recognition is That which comes to be known, as through perception, reasoning, or intuition; knowledge. Getting their attention by saying something that will make them recognize psychologically that you are important is done by simply rendering an emotion out of them. Grab their attention through a cognitive form of recognition, either in the text of the update, the blog post title, or the image itself. Recognition has to be made before emotion can be sought out. How do I get someone to recognize me in social media? Some of the easiest forms of recognition comes in the form of word play in the text of your social media update. Using words like the 5 “W’s” is always a good place to start to get someone to recognize you! We all are made with something inside our brain called “Reticular Formation”. If you have read any of my blog posts, then you will already know that it sits at the base of the brain and helps us decipher between the relevant and irrelevant things in our lives. The same goes for social media marketing updates. Reticular formation can block someone from looking at your update because it has already processed it that quick and deemed it irrelevant to the reader, therefore causing the reader to pass it up. They didn’t know it, but they actually already looked at it and forgot it that quick! If you’re still confused, then I’ll give you my favorite example of reticular formation. It’s like a guy that has lived beside of the railroad tracks all of his life. He could be asleep in the middle of the night, and the train comes thundering by blaring it’s horn. Because of reticular formation, that guy’s brain has deemed that noise irrelevant to his psyche and therefore ignores it. On the other hand, that same man could be asleep and an unfamiliar sound could happen in the living room, and he would wake up out of a dead sleep. Right now your updates are meaningless to people. If you’re not saying the right things or writing the right things, sure, you may get a straggler here and there, but it won’t be consistent until you learn how to attract attention. One of the many things I teach in my downloadable book, *AHEM, is to show you just how you can create attraction and use emotional marketing to an exceptionally high quality in your social media marketing. Social media marketing should always be well thought out. Yes your site’s content is important, but don’t negate the quality that you post to social media either. There are literally billions of people that have the chance to see your content if you are wording it the right way and creating attention with your updates. I have been using Psychology in social updates for a while now and can tell you that there’s a considerable difference in the interaction and reactions to each one of my social outputs every time. Find what grabs people’s attention. Do what you know already, in other words, put an image up there! It’s been proven that people respond to images. Write funny text in the description line, ask a question, appeal to your audience, and always remember, if you build it, they will come. Wade Harman is an expert in social media psychology, helping thousands of people drive traffic by using simple psychological methods in their updating. 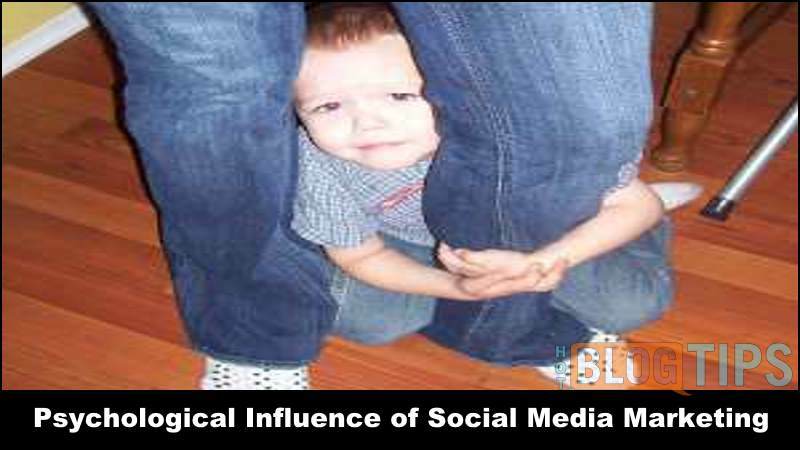 See why he is the leading expert in social media Psychology online, and let him coach you by showing you power updating the Psychological way that prompts action and gains attention from the follower!